Have you ever wondered what it’s really all about? How does this little life of ours fits into the larger picture — into a reality so huge the Universe itself is but a speck? We go to and fro our affairs, baking cookies and digging up Sarah Palin bikini pictures, unaware of just how massively primitive our understanding of life and existence really is. Biocentrism, a new theory of everything, suggests we’re so far off the mark we might as well be reading comic books instead of textbooks on evolutionary biology or quantum physics. We peer out at the edge of the universe with our radiotelescopes, yet it’s only recently that scientists have started to question a worldview that stretches back to the beginning of civilization. It’s time to say goodbye to this old paradigm. In the 18th century, Immanuel Kant declared space and time were properties of the mind. More recently, Einstein acknowledged “the distinction between past, present and future is only a stubbornly persistent illusion.” According to biocentrism, space and time are biological constructs, suggesting there are other information systems that correspond to other realities based on logic completely different from ours. These algorithms are the key to consciousness and why space and time and the properties of matter are relative to the observer. Biocentrism suggests they’re not the only tools to experience reality. Although we experience a world of up and down, these algorithms could be changed so that instead of time being linear, it was for instance, 3-dimensional like space. Your consciousness would move through the multiverse, and you could walk through time like you walk through space. Everything you experience is information occurring in your head. Space and time are just our way of making sense of things. They’re not objects, but rather the software that like in a DVD player, molds information into multidimensional experience. We take for granted how our mind weaves everything together. Even in dreams, it generates a reality, replete with a functioning body that interacts with a surrounding physical environment. Although a mental fabrication, you’re able to think and experience sensations just as real as you do now. If you add that everything physically possible has to happen (as many physicists believe), what does that mean about our ultimate destiny? Where does your life and consciousness begin and end? 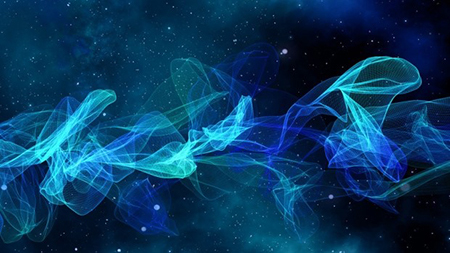 It seems simple invertebrates may only experience existence in one dimension of space. Evolutionary biology suggests that life has progressed from a one dimensional reality, to two dimensions to three dimensions, and there’s no reason to think the evolution of life stops there. Ultimately, consciousness runs upward by insensible degrees from the lowest forms of life through to vertebrate existence, and far beyond us to extracorporeal (transcendental) existences that we can’t even begin to fathom. Although we experience them piece by piece, like the songs on a record, they represent parts of a unitary reality that exists outside the classical divisions of space and time. It’s time to embrace this broader vision of reality. This became clear to me one afternoon, when as a boy, a small cottontail rabbit ran by me. There was nothing remarkable in that; nor did I think it unusual when he stopped a moment, holding up his paws and looking at me with the curious glance of the White Rabbit, as if to say, “Why, Robert, what are you doing out here?” But when the creature looked into my eyes and twitched its whiskers, I felt the Élan Vital in him, a certain sense of consciousness that cut across space. Then it ran off, and I too. You see, there was a joining, a projection of desires across the species boundary. For just a moment, I could feel the guide hairs on the back of my neck, even as the rabbit might have felt them himself. Some people will say the sun was hot upon me that day, and that I shouldn’t burden my readers with this affair. They don’t think there’s any other explanation left. However, you’ve probably heard about the two-hole experiment, the quantum Zeno effect, and other experiments that suggest the structure of the physical world is influenced by human observation. The results of these experiments are fantastic, I agree. 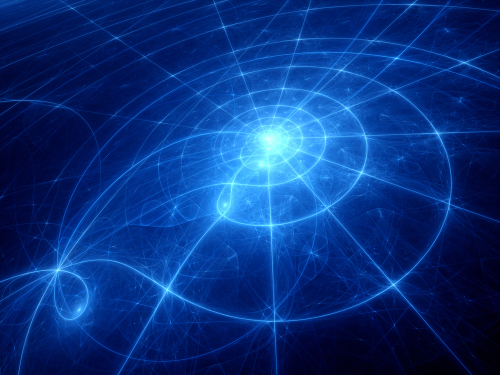 But when quantum physics was in its early days, even some physicists dismissed the findings as impossible. It’s curious to recall Einstein’s reaction to the experiments: “I know this business is free of contradictions, yet in my view it contains a certain unreasonableness.” Yet later he admitted quantum mechanics doesn’t contain any logical contradictions and is logically unexceptionable. Maybe so, but I’ve spent my entire career studying the basis of life. I have faith in life, not a set of equations. But that’s not all. The late physicist Heinz Pagels once commented: “If you deny the objectivity of the world unless you observe it and are conscious of it (as most physicists have), then you end up with solipsism — the belief that your consciousness is the only one.” This may not unsettle you, except perhaps if you were standing in a meadow when everything was bathed in such pure light. But there I was, the creature a few rods off, its eyes fixed on mine. Yes, I thought, we’re all one. There was a crackling of some twigs, and I jumped up in alarm. In another moment I popped down the large rabbit-hole under the rock. Down, down, down into a world of the unfathomable. 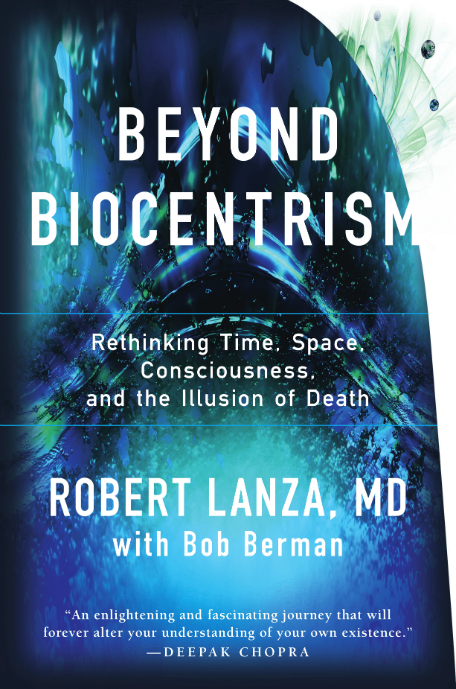 “Biocentrism” (co-authored with astronomer Bob Berman) lays out Lanza’s theory of everything.